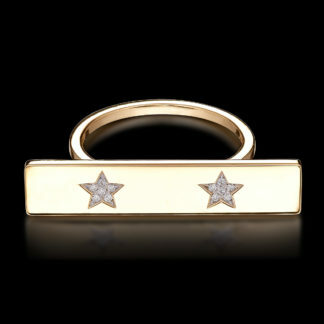 A simple and rock ear cuff available in white, pink and yellow gold. 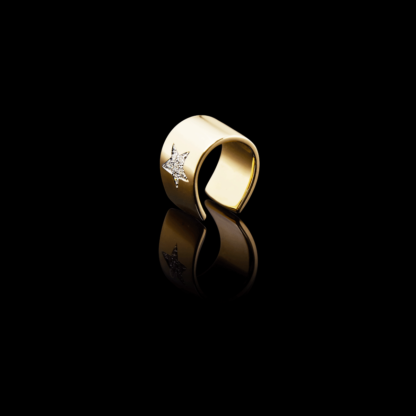 Wear this casually day-to-day or dressed up. 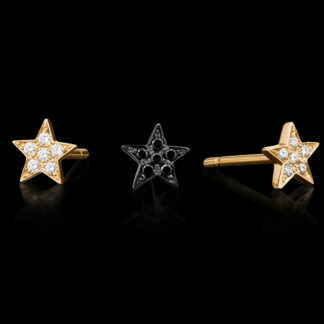 Here: ROCK ear cuff from The Prince Of Lucky Stars Collection in 18k yellow gold with 1 white diamond star. 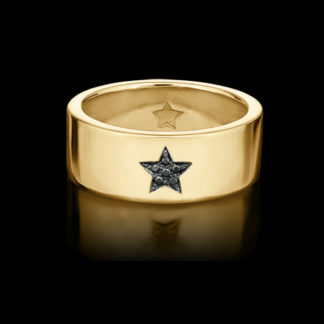 From 385€ (incl VAT) with a black diamond star.